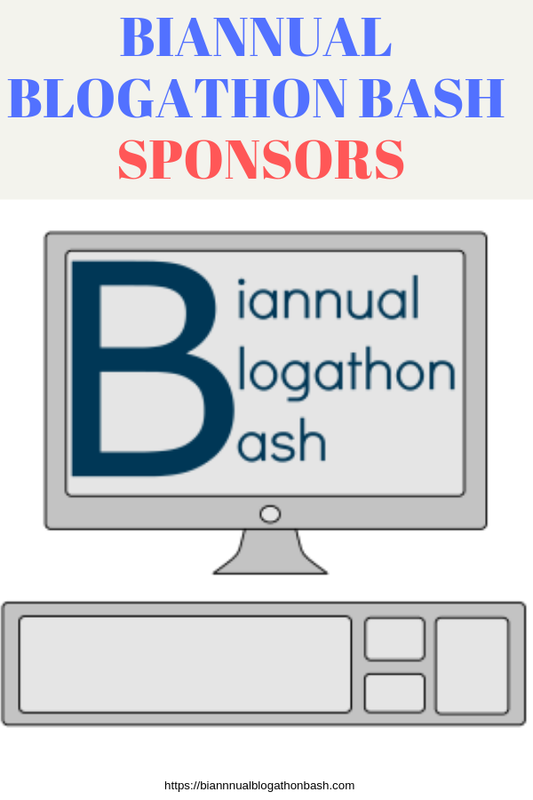 Disclaimer: The sponsors below donated prizes to the winners of the Biannual Blogathon Bash in exchange for their mention on the blog and promotion in relationship to the event. All opinions are my own. 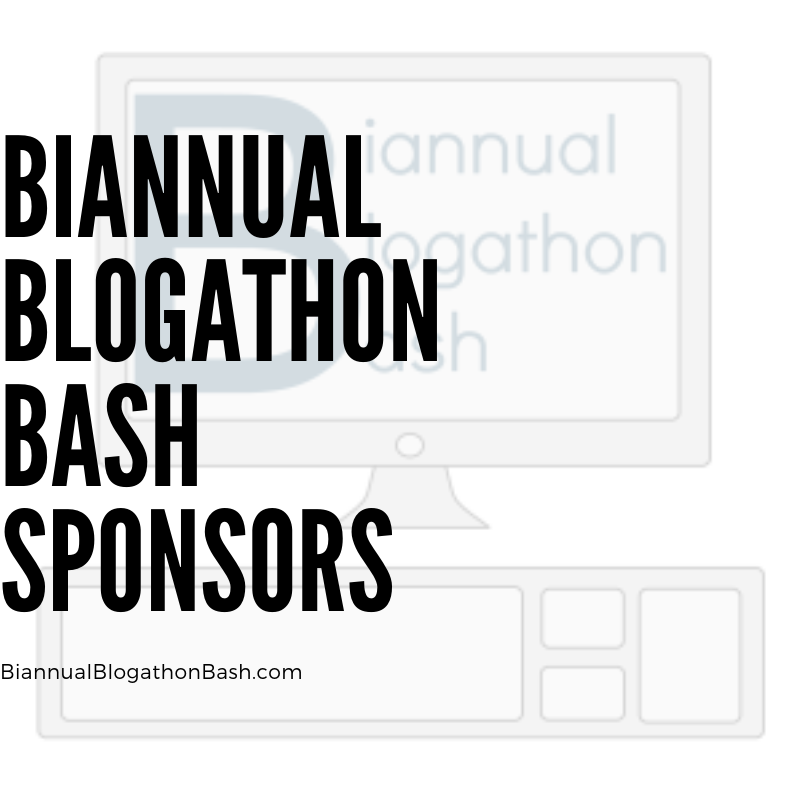 I’d like to give a big shoutout to all of the Biannual Blogathon Bash Sponsors, both past and present, including those who are no longer online. You can find the information about each sponsor below including their websites if they are still active. Picmonkey is a great site for making or editing photos for your blog. They have tons of features for free but they also have a premium Royale membership available with added features. PicMonkey is donating 5 year Royale memberships as prizes for the blogathon! 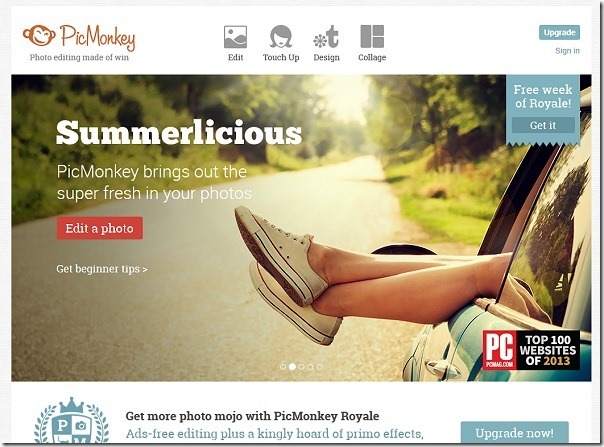 Picmonkey Royale gives you ad-free editing plus more effects, fonts, designs and more. You can find out all about royale membership through that link. Make blog buttons, blog headers and collages or edit photos to crop, add watermarks and more. You might want to check out a past mini challenge on using picmonkey for some ideas. SocialWise Media Group helps businesses with marketing using Social Media. They also do some TV and Radio Advertising. 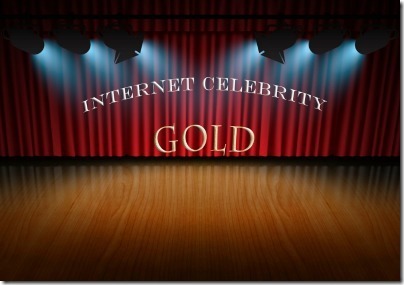 Ini from SocialWise Media Group is offering one blogathon participant their Internet Celebrity Gold Starter package which will help you showcase your blog on your choice of Pinterest, Facebook or Twitter. They will assign a social media specialist to either revamp what you have, or help you set up the page of your choice. Professional re-write of description or motto. This package is valued at over $400! 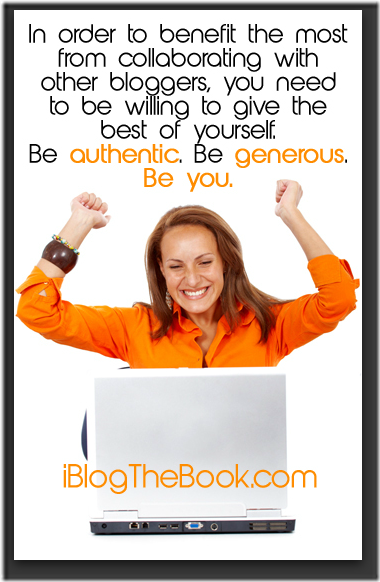 Leila Brenner is your Jill of All Trades and she is ready to do VA work for your blog as a prize in the blogathon. If you aren’t familiar with what a VA is yet, it stands for Virtual Assistant. A VA can do all kinds of work for you and your blog such as promoting blog posts for you, running your social media accounts, responding to emails, moderating comments and all sorts of things they can do from their own home virtually. You can find out more about Leila Brenner at her site. She is offering $60 credit to use for her VA services and/or her giveaway listing services. If you are looking for something to be done but you aren’t sure if she will do it, just contact her and ask! While Leila Brenner’s site is no longer active, we would still like to acknowledge that she was a sponsor of the Biannual Blogathon Bash. This ebook course has everything you need to know to work with brands effectively whether you’ve worked with some brands already or never even had more than a passing thought about it. She covers the pros and cons of working with brands, finding contacts, pitching, proposals, follow up and more. Valued at $19.95 the book is a course as well because it includes assignments and worksheets to go with the information presented. Shannon has agreed to donate 15 copies of the ebook course! 12 copies will be twitter party prizes and the other 3 will be regular blogathon prizes. 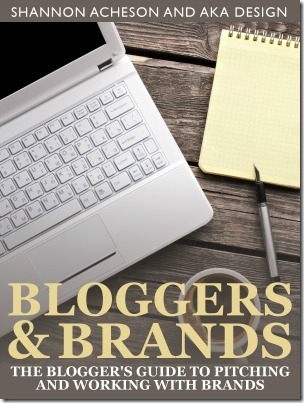 While Shannon’s site and Twitter account are no longer active, her ebook is still available for purchase and we do appreciate her being a Biannual Blogathon Bash Sponsor. Amy (Milk and Cookies Blog) and Jimmie (Jimmie’s Collage) have created the iBlog book set which is like your guide to blogging in personal stories and advice from real bloggers like you. 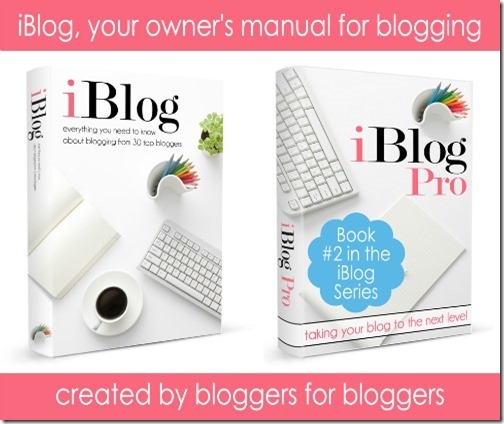 They are sponsoring the blogathon with 3 sets of the iBlog and iBlog Pro books. Each book is over 300 pages and over 38 chapters full of information on pretty much every aspect of blogging (Photos, Balancing Life, Reviews, SEO, Traffic, Media Kit, Guest Posting, Social Media, Affiliate programs, Blogger, WordPress, Working as a Virtual Assistant, Group Blog, Monetization, Freelance Writing, Creating a Course or Membership Site, Creating and Selling eBooks, G+ Hangouts, HTML, CSS, Vlogging, Keywords, Productivity, Conferences, Writing and MORE. They are eBooks in PDF format so you can read them anywhere. They are only $7.99 each which is amazing since they contain SO much information. NOTE: Some of the bloggers include spiritual or religious references in their chapters. This may speak to you, and then again not, however the books provide great content that can be used by all, spiritual or not. While the iblogthebook.com site does not seem to be online, a quick search did bring up the other two sites and of course, we would like to thank them for being a previous sponsor of the Biannual Blogathon Bash. AnaChana Design is run by Ana who believes in “stunning, readable typography” in her web designs. She has been designing blogs and websites for over a decade. Ana does website design as well as blog design for blogger and WordPress. She also does a few smaller projects like Custom Headers, Grab Buttons and Codes, Branding/Logo Design etc. Ana from AnaChana is offering a basic blog theme customization for self-hosted WordPress blogs valued at $350 as a prize for the blogathon! Skype chat to talk about the design. Social Media buttons aren’t usually included in this package but will be included for this prize.Up to four icons will be provided. 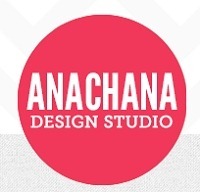 AnaChana Design is another previous sponsor of the Biannual Blogathon Bash who is no longer online, but we still want to say thank you for participating! Sommerfugl Design was a sponsor of the Big Blogger Giveaway last month and now she is sponsoring again. She has changed her Blogger Design E-course into something a bit more. Learn to design your own Blogspot blog. An eBook for you to download and keep that covers the basics. 3 Blogger Templates for you to work from. 8-10 Lessons that include video tutorials. Access to forums for peer to peer feedback. The opportunity to ask me questions and get help on you design. Access to a resource list to help you find everything you need for your design. Access to a private group on Facebook to network with other bloggers. Basic CSS and HTML needed for your design. How to use images and fonts in your design. How to add additional sidebars and gadget areas. How to install your new design. None! I will show you how to do anything you need design wise using the free online program pixlr. However, I do recommend GIMP, a very powerful and free editing program. Access to the portal is valued at $30 and one spot has been donated. Sommerfugl Design is another previous sponsor of the Biannual Blogathon Bash who is no longer online, but we still want to say thank you for participating!